Lazy Daisy Jones is a UK life and style blog, written by Ashley Cramp. 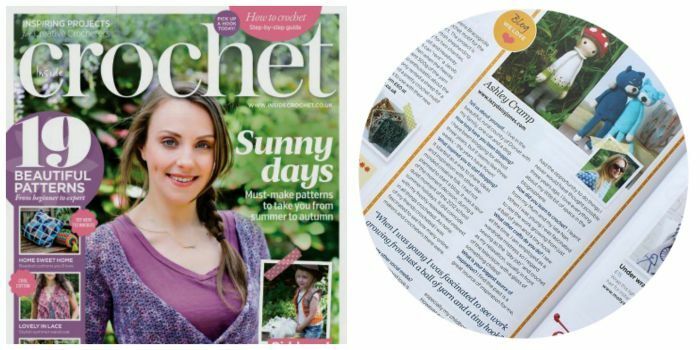 Both Ashley and her blog have been featured in a variety of magazines and press articles in the UK and the US. 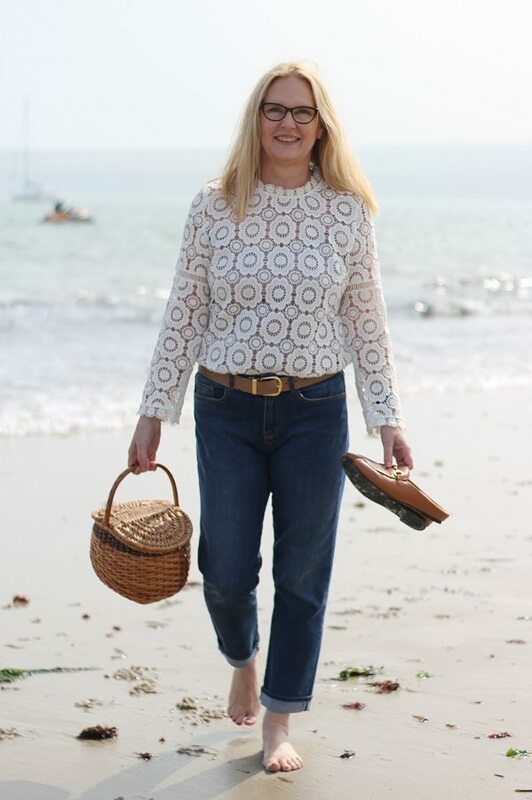 With a worldwide audience, LDJ is a fast growing and popular blog, with a loyal following amongst professional and creative women of all ages. Woman and Home Magazine May Issue. Woman and Home Magazine January Issue. JD Williams Life Style Christmas Edition. As part of the JD Williams ‘Colour Council’ Ashley picked her top 5 party pieces. 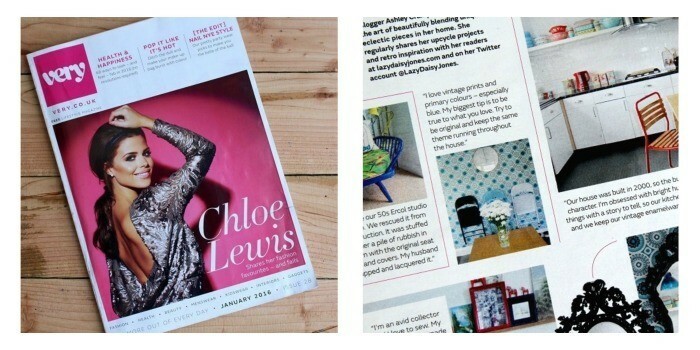 A Dutch magazine featured Lazy Daisy Jones as one of their favourite interiors blogs. They used images from our bedroom and our handmade bed. Who would have guessed that at 53, Ashley would be in The Sun? 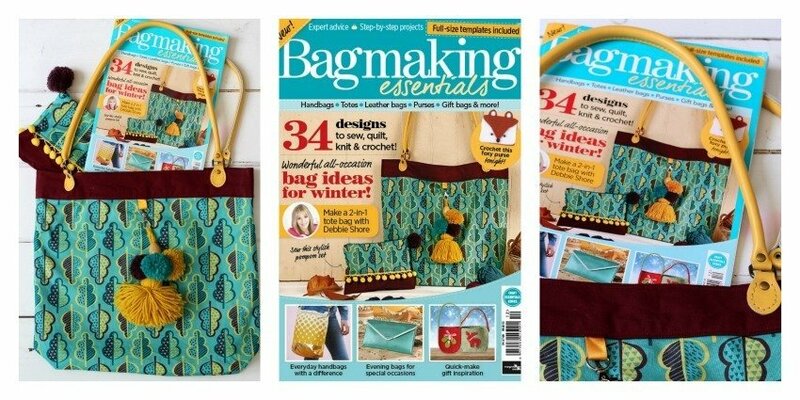 Ashley designed and made the bag and matching purse that was used on the front cover. A proud first! The lazy Daisy Jones sewing room and ashley’s storage ideas were featured. 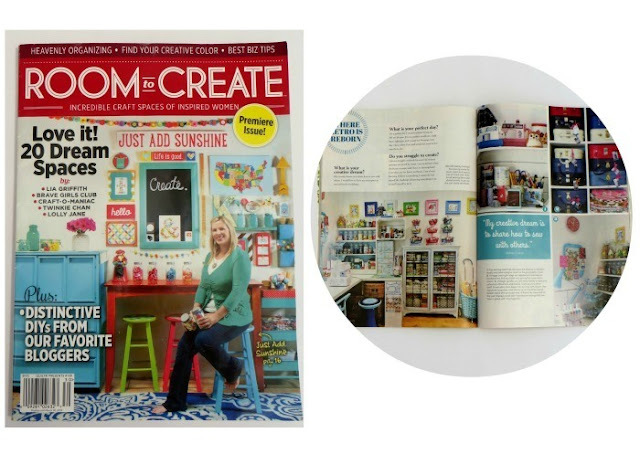 We were very proud to have our home professionally photographed, and loved the results as seen in Home and Style magazine. The Lazy Daisy Jones HQ aka the ‘sewing room’ was picked as a sewing room swoon. 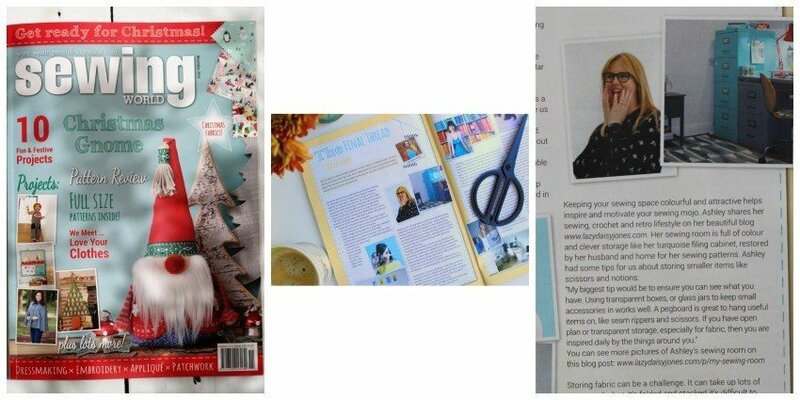 Ashley was interviewed about the release of her sewing pattern published by Simplicity Patterns. 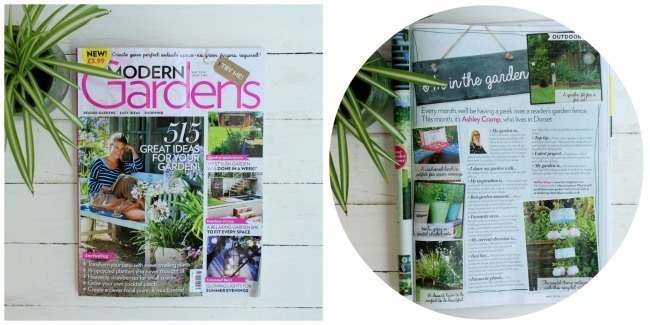 Modern Gardens Magazine May Issue. 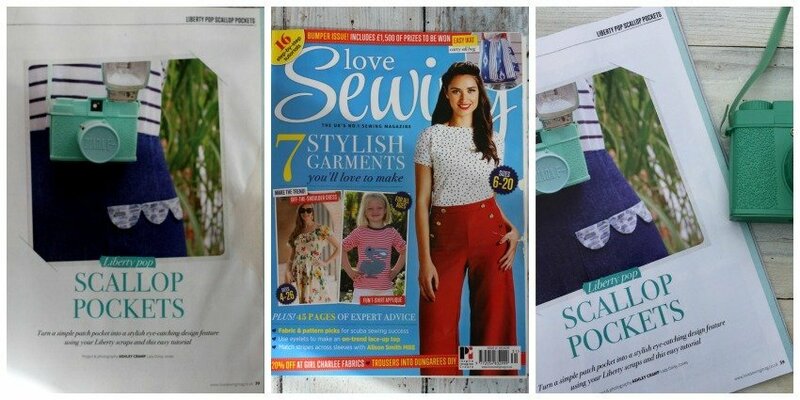 Love Sewing Magazine March Issue. 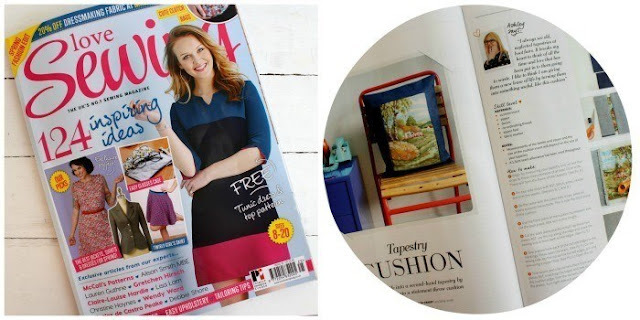 Ashley designed and wrote a tapestry cushion tutorial for issue 25 of love sewing magazine. 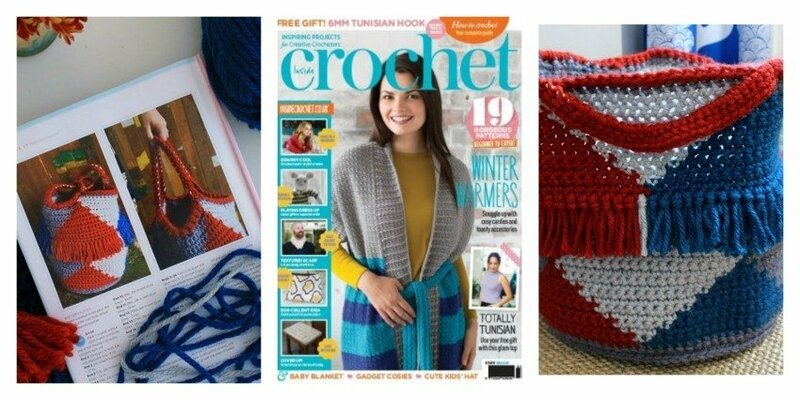 Plus the pattern she designed for Simplicity Patterns also received a headline mention on the news pages! The Lazy Daisy Jones house was showcased as part of the ‘Through the Keyhole’ Feature. 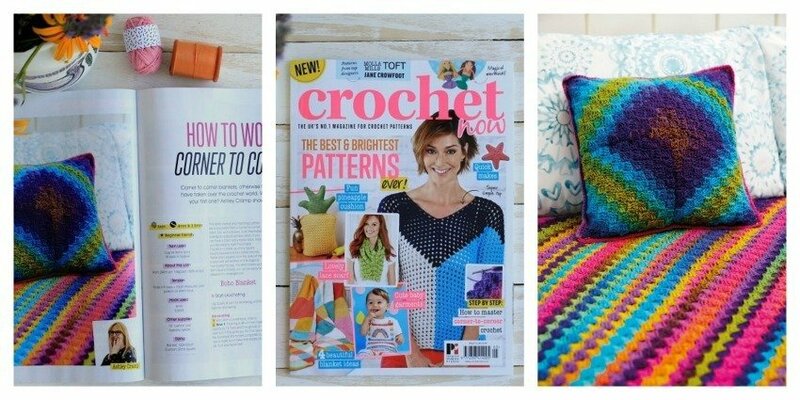 Ashley was interviewed by Inside Crochet magazine for issue 68. 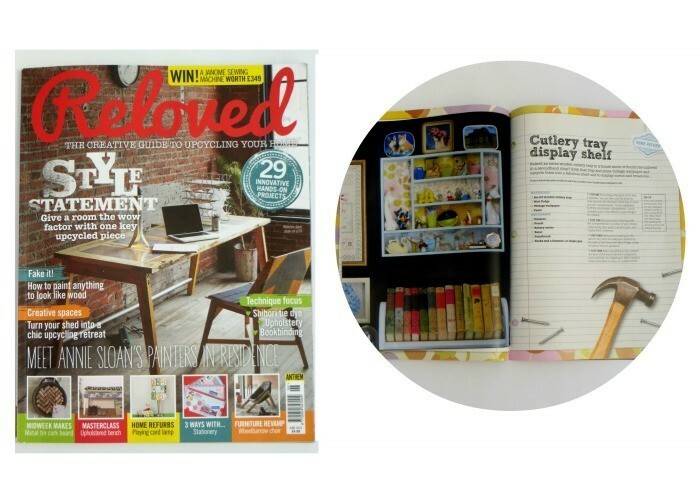 Lazy Daisy Jones was featured as a ‘Blog we love’ by the magazine. 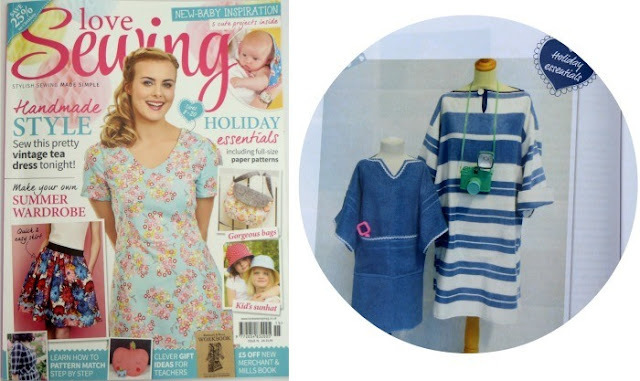 Ashley was commissioned to design an Adult and child’s beach robe from 2 Ikea towels. 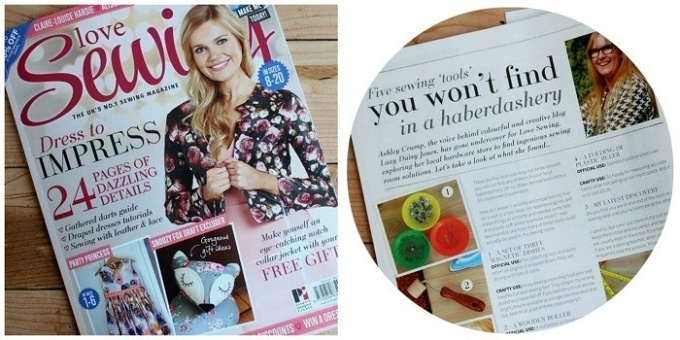 Ashley’s ‘Ikea hack idea’ of turning a cutlery tray into a wooden shelf was featured with a full two page spread. 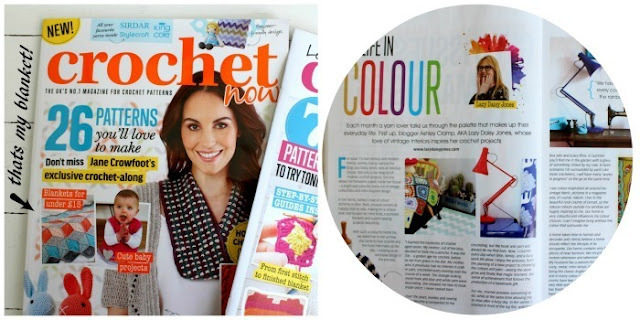 This American magazine featured 8 pages, on Ashley’s vintage inspired and colourful sewing studio. 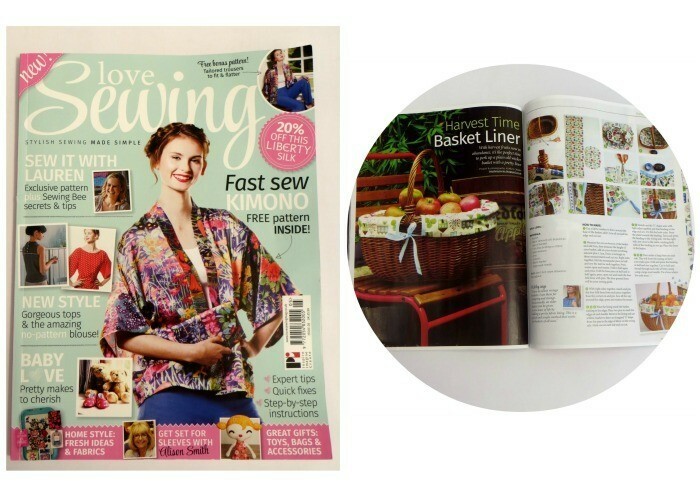 The magazine showed Ashley’s sewing studio and commissioned a basket lining sewing project. 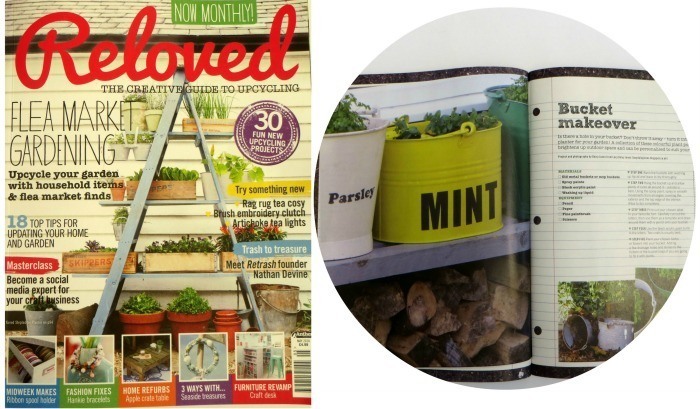 Ashley and Marc’s Vintage Garden Bucket planters were featured as a makeover idea for your garden. 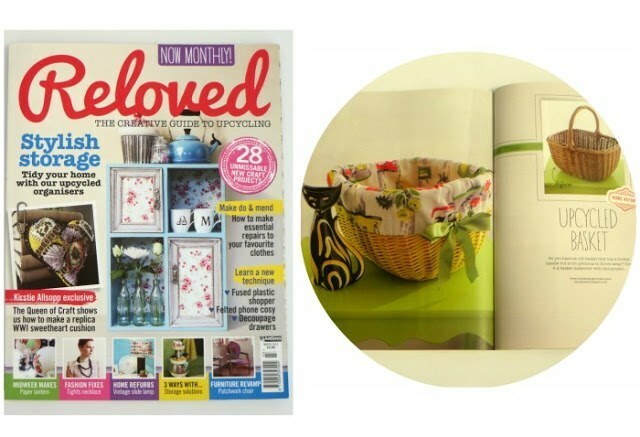 Ashley’s Vintage basket makeover was featured in a 3 page article. If you have seen anything that interests you whilst perusing Lazy Daisy Jones press page, then please do get in touch. I would love to hear from you with any collaborative ideas.